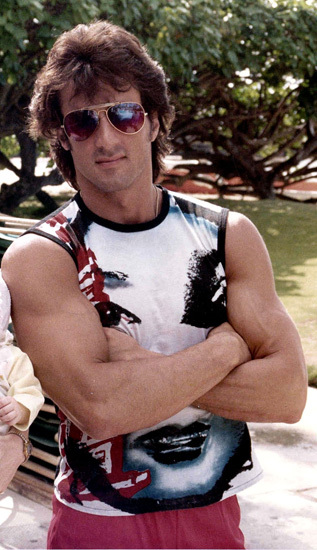 Sylvester Stallone taking off his Ray-Ban 3030 Outdoorsman sunglasses (you can clearly see the cable temples here). 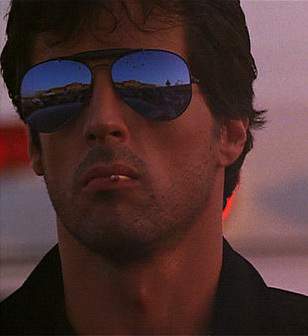 In the extreme 80s movie Cobra, Sylvester Stallone as Marion Cobretti wears Ray-Ban RB 3030 Outdoorsman sunglasses. 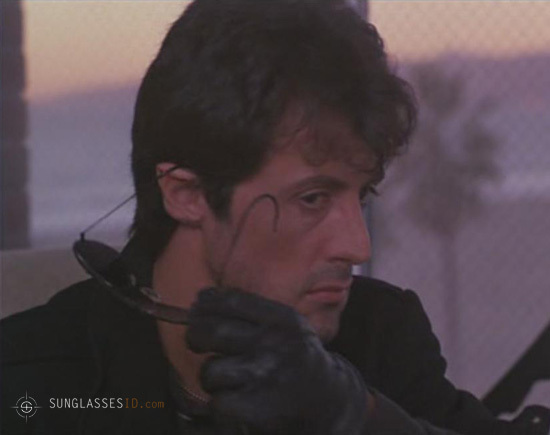 The glasses are worn thoughout the movie and can be seen on the movie poster as well. These glasses are more robust than the classic aviators, and with a black frame and mirror glasses they look very impressive. The difference between these 3030 Outdoorsman and the 3029 Outdoorsman II sunglasses are the temples: the 3030 temples wrap around behind the ears, while the 3029 have the more standard shape. In the movie Cobra, the cable temples can clearly be seen (see picture on the left). 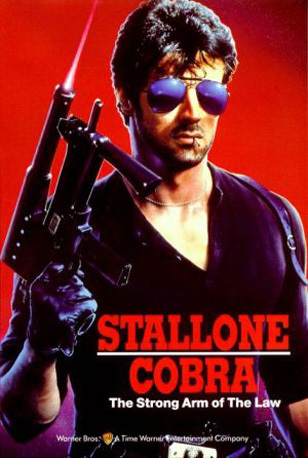 Read why Cobra is one of the most underrated macho badass movies of all time on i-mockery.com.